While the elements of magical realism are subtle in many of the films in this list, Scott Pilgrim vs. The World immediately immerses the viewer into the colorful, fast-paced world of the Nintendo generation. Scott (Michael Cera) is a young slacker who can barely interest himself in his life or his band. But when the mysterious, bright-haired Ramona Flowers (Mary Elizabeth Winstead) skates into his life, he finds himself engaged in a grueling battle against her past. As he faces her evil exes, the battles are infused with up-beat video game music, exploding onomatopeias and, of course, the loser turns into a pile of coins. Woody Allen is no stranger to magic realism, which he uses in films like Zelig and The Purple Rose of Cairo. He uses elements of fantasy to give viewers a better understanding of his characters. In Midnight in Paris, Gil Pender (Owen Wilson) is a writer who feels he sold out when he started working for Hollywood and making money from stories he didn’t believe in. He goes to Paris in the hopes of reconnecting with the love of literature that used to inspire him. He discovers that and more when he finds himself hanging out with his literary idols. Instead of trying to understand how he was suddenly transported to the 1920s, he shares his relationship problems with a gang of surrealists, who don’t think Gil’s situation is perplexing at all. These encounters leave Gil reinvigorated and excited about art again, however tinged with “golden-age thinking” his art may be. This is one of those films where the magic realism is so subtle, that it’s hard to know whether something magical really happened in the end. And subtlety is what the Duplass brothers do best, as they find the beauty, the hilarity and the sadness in the most mundane situations. Jeff (Jason Segel) is living in his mother’s basement, waiting for life to give him a sign of what his destiny is–an idea he got from watching the movie “Signs” over and over. With this in mind, Jeff goes out on an errand and is quickly distracted by the signs he thinks the universe is sending him. He ends up on an unlikely journey to unite his family and find happiness. It would spoil it to say what happens next, but it’s fair to say that Jeff, his brother Pat (Ed Helms) and his mother Sharon (Susan Sarandon) end up finding answers where they least expected. 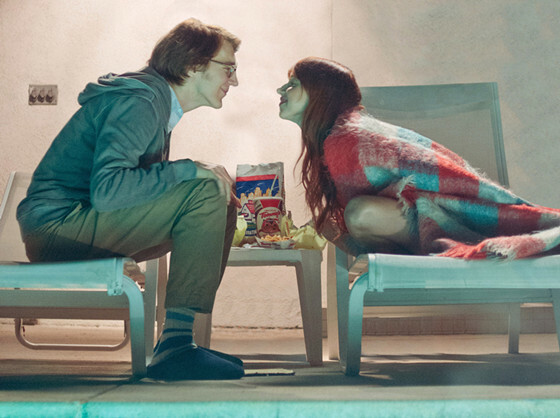 In order to enjoy the funny but ultimately painfully real depiction of idealized relationships that is Ruby Sparks, you have to accept the premise that Calvin (Paul Dano) creates Ruby (Zoey Kazan) by writing her into existence. In the world of the film, the characters are initially confused by Ruby’s existence, but they quickly accept it and don’t make any efforts to explain it. That’s because it’s not about understanding what made her real, but watching this young couple navigate the winding road between the idea of a relationship and the reality of loving someone. As Calvin tries to maintain control over the girl of his dreams, he misses out on the complex being she’s learning to be. The most painful visualization of this is one of the pivotal scenes near the end of the film, where Calvin furiously exerts his will over Ruby. As she sings, jumps, speaks in French and barks like a dog, we see the dark side of Calvin’s desires. Inspired by a real newspaper ad that was printed in 1997, searching for a partner to travel back in time, this film explores the desire to relive the past. Magazine intern Darius (Aubrey Plaza) embarks on a journey with her boss Jeff (Jake Johnson) and fellow intern Arnau (Karan Soni) to find the man who posted this intriguing ad. Once they find Kenneth (Mark Duplass), it’s up to Darius to find out if he has some sort of scheme or if he really believes he’s going to travel in time. While he’s older than her, they develop and unlikely connection, and she starts to care more about getting to know him than she does about the magazine story. As they spend time together, she gives him an opportunity to pass on what he’s learned from his mistakes, and he shows her that she doesn’t have to be so cynical about life. What follows is a charming blend of sci-fi and reality that explores the desire to start over. This film has become wildly popular throughout the years due to its feel-good attitude, beautiful color palette, quirky storytelling and ensemble cast. What makes this modern fairy tale so whimsical are the seemingly unimportant details and the little moments of magic realism that give us insight into the mind of this extremely shy, kind girl. 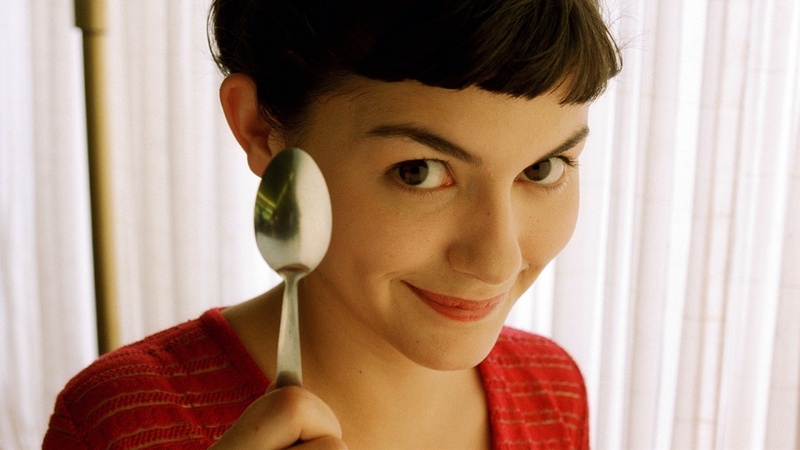 Amélie (Audrey Tautou) developed quite an imagination during her lonely childhood, and her sense of whimsy remains with her in adulthood. This is evidenced in the little moments that break from reality, like when Amelie’s paintings watch her with concern, or when she sees herself in the sad stories on television. The most relatable moment of magical realism is when Amelie literally melts into a puddle at the sight of Nino (Mathieu Kassovitz). While we all feel like yelling at the screen when Amelie’s shyness stops her from facing her love, we can all relate to that feeling of melting into a lonely puddle, which makes the moment easily blended into reality. 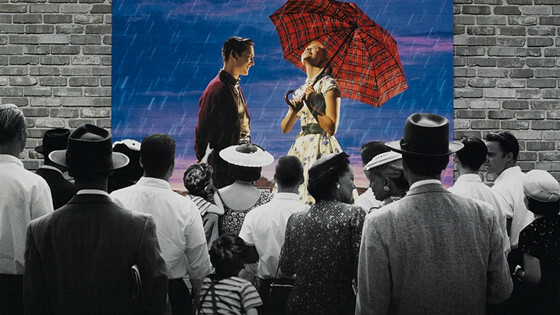 A late ‘90s favorite, Pleasantville explores the pains of growing up as an individual and growing up as a society through the eyes of twin brother and sister David (Tobey Maguire) and Jennifer (Reese Witherspoon). These polar opposite siblings are sucked into of a 1950s sitcom, where everyone is happy to live in a black and white world. While David tried to blend in and not disturb the peace, Jennifer roams the new world, inevitably shaking things up. We see the effect of their presence when a red rose suddenly blooms in this world where no one has ever seen any color outside of the grayscale. This moment is subtle but it beautifully illustrates the awakening that the quite society is about to experience. David and Jennifer learn that the idealized past was not as pleasant and it is sometimes portrayed and that we can’t get stuck in what we know. If we can grow and change things for the better, we have to try.